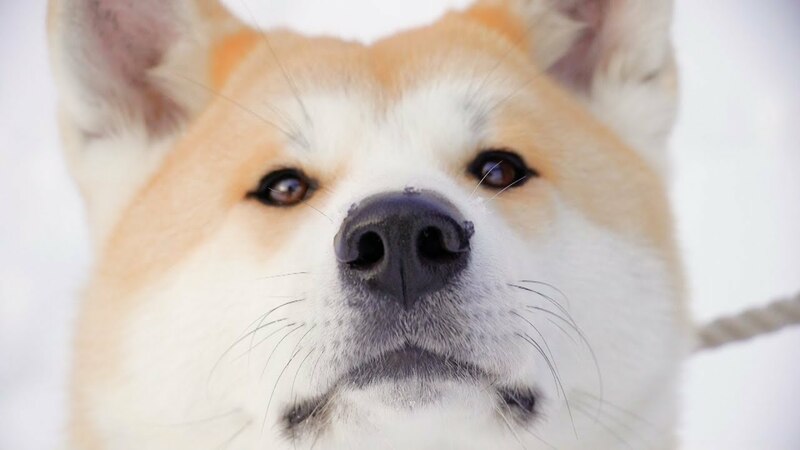 Akita dogs, which hail from the snowy mountainous region in the north of Japan, are big, fluffy, and incredibly loyal. What better way to start off the Year of the Dog than with a visit to the home of these lovable pooches in Ōdate city. 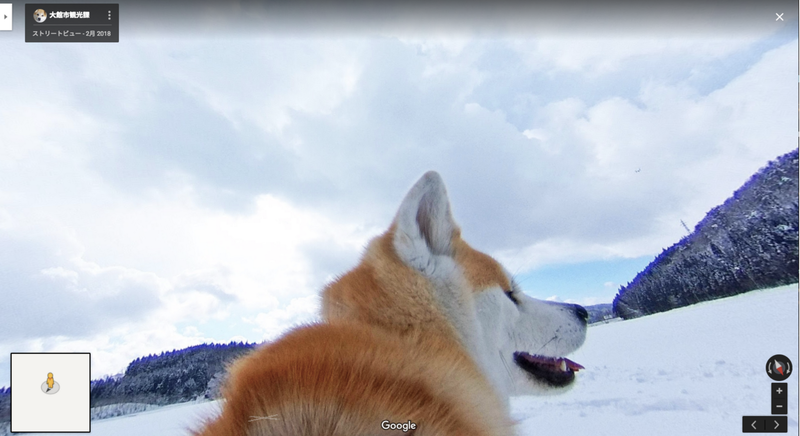 Now, Street View can take you there in an instant. 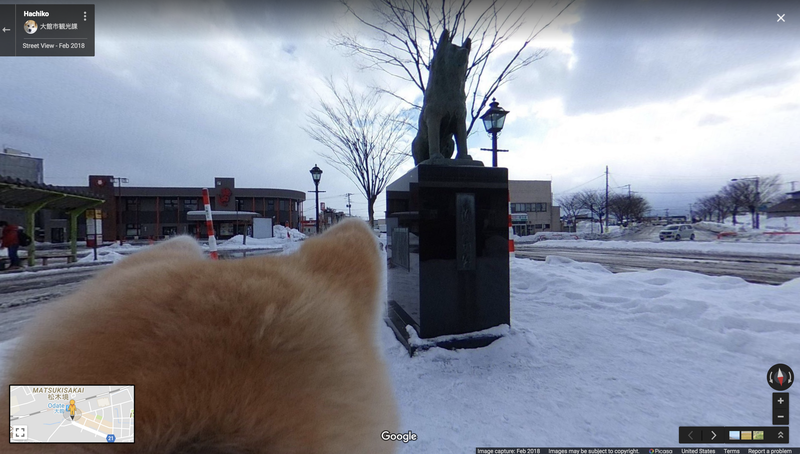 In this photo, Ako stares at a statue of Hachi, a dog-turned-legend who dutifully went to Tokyo’s Shibuya station every day to meet his owner, years after the owner passed away. Here Ako had a great time playing in this field during a snowy walk. When the snow clears, rice is grown here. 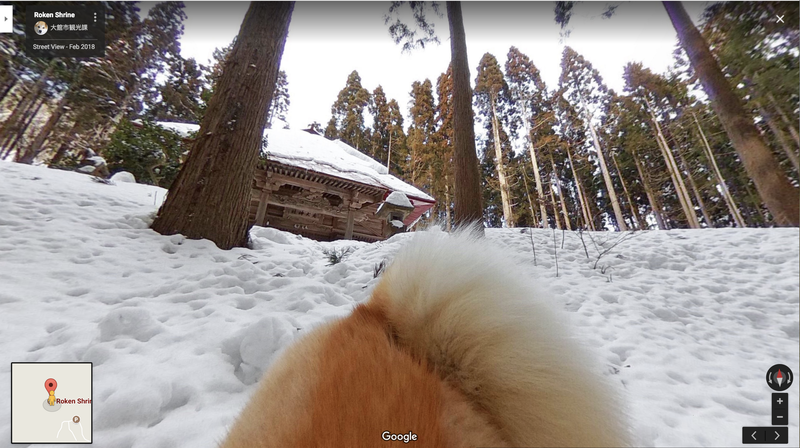 The Rouken “old dog” shrine in the middle of the forest, one of the very few shrines actually dedicated to a dog. There’s much more to sniff out in Ōdate, from hot springs, history, culture, and cuisine, so come on in and dig around the new imagery!